What are the types or categories of risks in software engineering? Explain the process of risk management. Risk Management: Risk management is a series of steps that help a software team to understand and manage uncertainty. It’s a really good idea to identify it, assess its probability of occurrence, estimate its impact, and establish a contingency plan that─ ‘should the problem actually occur’. Risk management is a part of umbrella activities. Simplistically, you can think of a risk as something that you’d prefer not to have happen. Risks may threaten the project, the software that is being developed or the organisation. 1. Project Risks: Risks which will affect the project schedule or resources. For example, stuff turnover, that is an experience team member of a project left the organization. 2. Product Risks: Risks that affect the quality or performance of the software being developed. For example a component isn't performing as expected. 3. Business Risks: Risks that affect the organization developing or procuring the software. For example, a competitor is developing a similar product that will challenge the product being developed. Risks has to be listed and recovery actions has to be predetermined to avoid bigger impacts when development is underway. 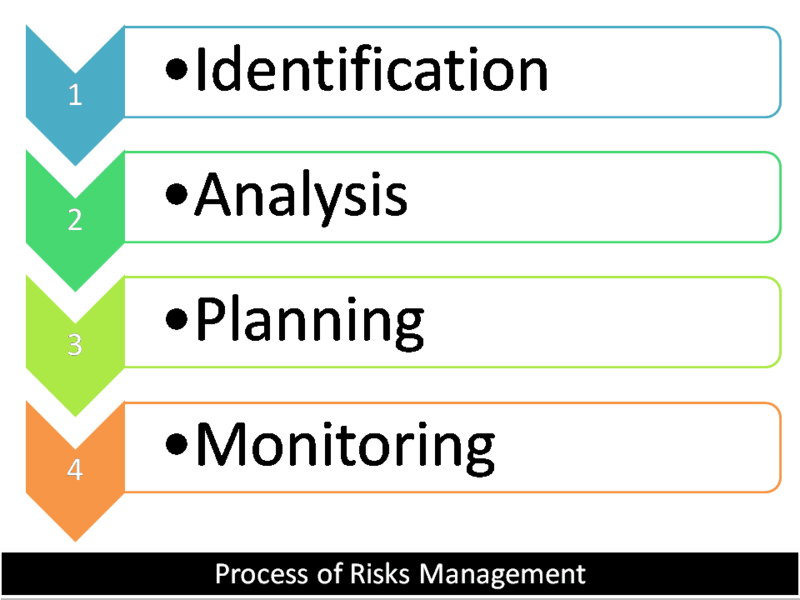 Following are the stages of risk management. 1. Risk Identification: Identifying the possible risks in project, product and business. 2. Risk Analysis: After identifying the risks, the following consequences of the risk and what might cause the risk are then analyzed. 3. Risk Planning: After the risk is quite clear, plans has to be established by either avoiding it or minimizing it's effect or both. 4. 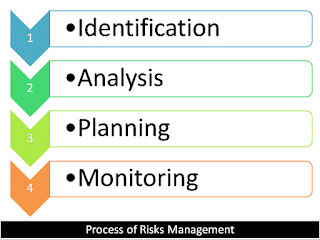 Risk Monitoring: Though the risk has been identified, analyzed and planned well, with time, situation may change. Thus the risk has to be monitored to bring necessary changes to the plan of addressing the risk.